Arizona sheep in southwest Arizona. Sheepherding for wool and meat has been an Arizonan occupation since the mid-1800s, and if the Native Americas are included, the date can be pushed back to the early 1600s when sheep were pilfered from the pueblos in New Mexico. When: March 5, 5:30 p.m. Historical geographer Barbara Jaquay will visit Maricopa to talk about the history of sheep and sheepherding in the state and how it still survives today. Her presentation is hosted by Maricopa Historical Society March 5 at 5:30 p.m. at Maricopa Public Library. All are invited, and the event is free. 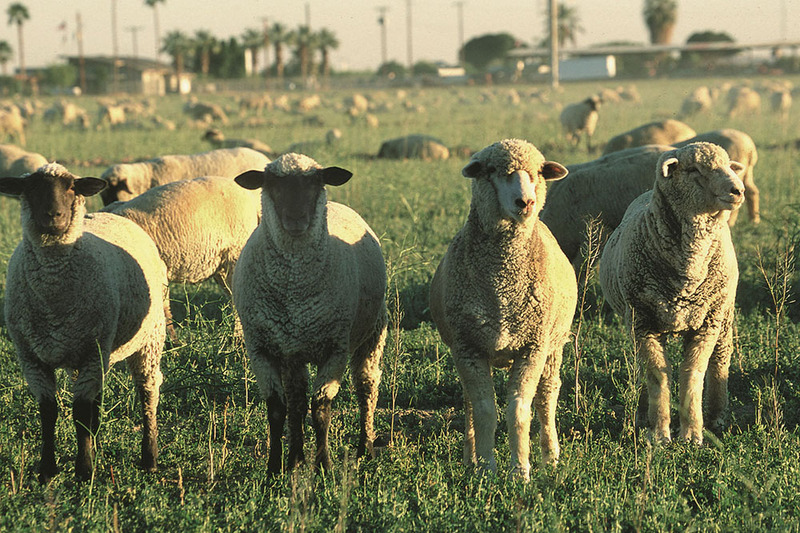 Sheep were one of the many livestock breeds Father Kino introduced into the Pimería Alta. He taught the local southern Arizona Native Americans sheep husbandry in order that they would have a constant supply of wool and meat. At the height of the industry there were approximately 150 sheep owners, consisting of Basque, Americans, Mexicans and Canadians men and women who came as owners and some as sheepherders who eventually became owners themselves. Today, two families still graze sheep in the traditional method of moving the animals from the desert ranges to mountain pastures every year in the cyclical rhythm of the land. This is the story of the many sheep owners. This story appears in the March issue of InMaricopa.